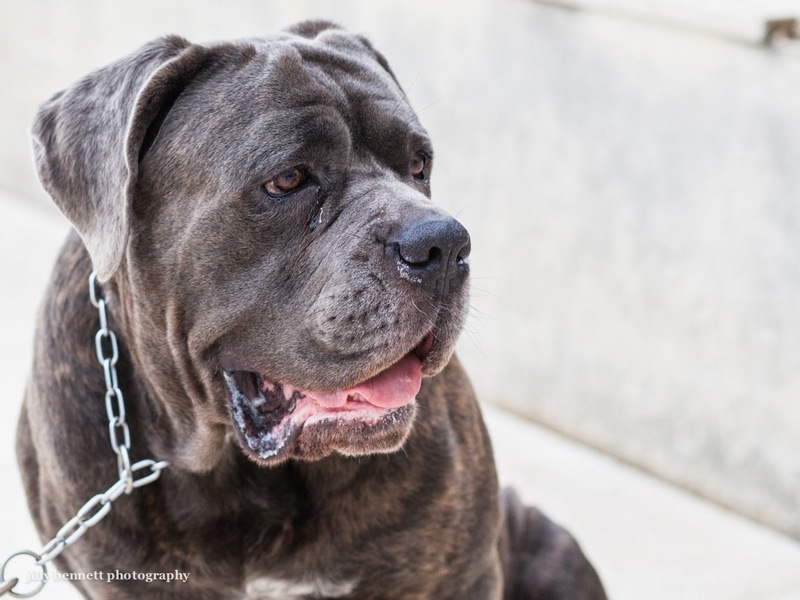 This big beautiful boy is a Cane Corso, an Italian breed. 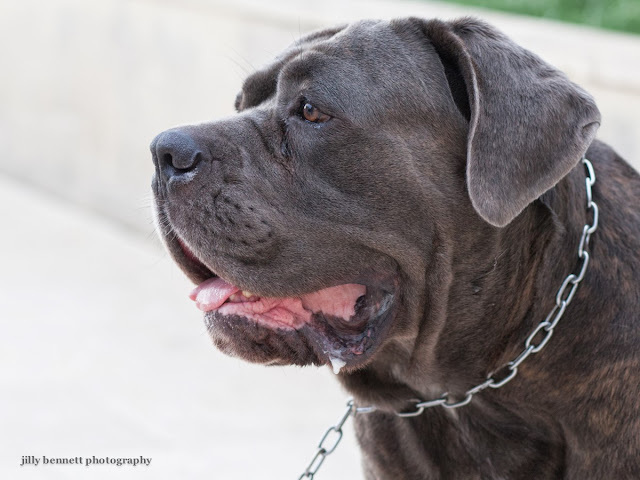 The breed predates its cousin, the Neopolitan Mastiff and is less bulky than other mastiff breeds. 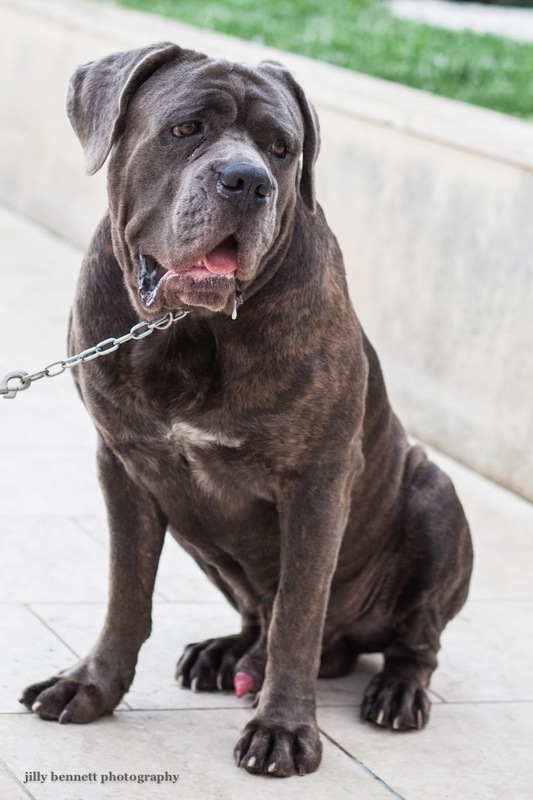 He's called Daram and is 3 years old and lives in Monaco. I had a Mastiff and he was such a gentle dog. Darma looks like a kind old soul.